Kris Anka served some beefcake on the covers of House of M #2 & 4. 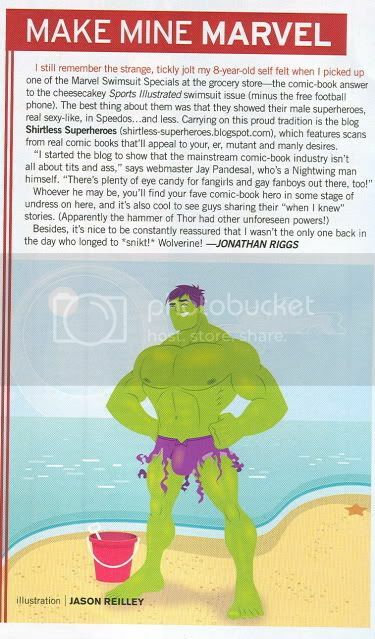 Both scenes do not appear in the issues, not that I'm complaining. 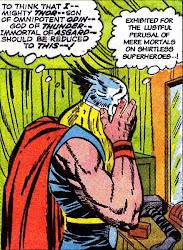 Fanservice is always welcome! 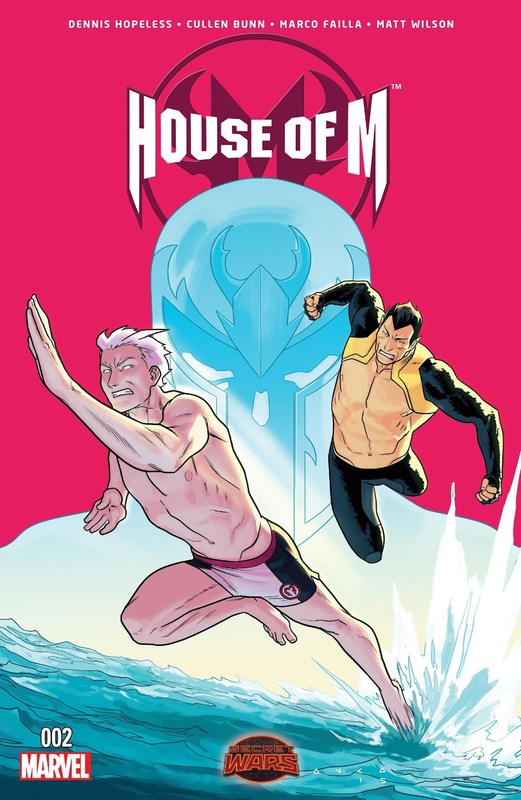 House of M #2's cover features a swimsuit wearing Quicksilver being chased by a semi-shirtless Namor. 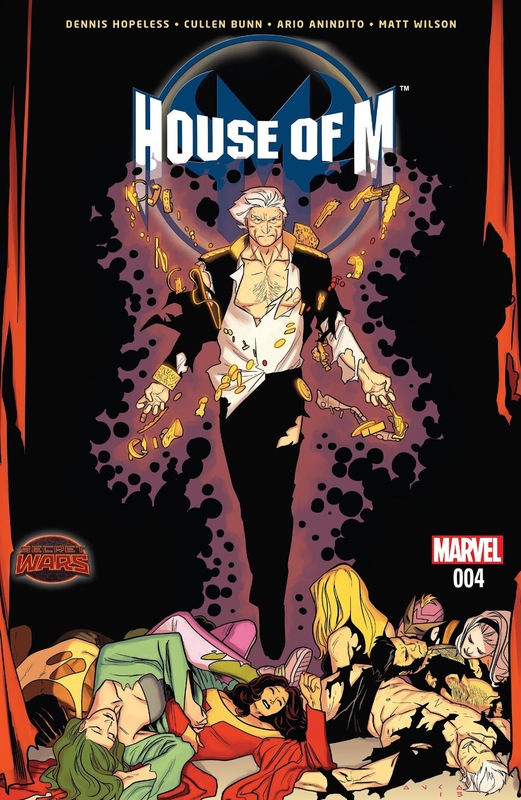 House of M #4's cover shows Magneto using his powers which results in some clothing damage.